The Fencing Club of MC provides the best technical and tactical training for Saber, Foil and Epee through both group instruction as well as individual lessons. We offer programs that are geared for all levels of fencers including beginners, recreational, youth, high school, college as well as national and international competitors. The Fencing Club of Mercer County's instruction philosophy is based on attention to the details of proper technique with a stress on basic tenants of footwork and blade work. Classes are a lot of fun too! All Saber classes and lessons are instructed by Coach John Friedberg. 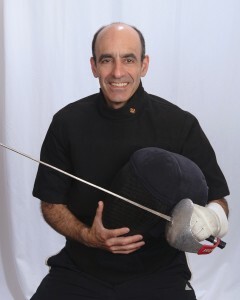 John Friedberg has been involved with competitive fencing and instruction for over 35 years highlighted by participation in the 1992 OIympic Games. Coach John was also a Senior National and NCAA Champion as well as a member of three US National Fencing Teams and has helped to train and mentor many other fencers who have achieved national and international success. 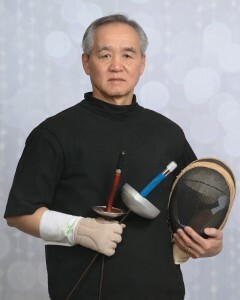 Foil and Epee is taught by Coach Richard Chang. Coach Chang is currently the Head Coach at West Windsor H.S. North and formerly coached at St. John's University. The Fencing Club of Mercer County is located in Robbinsville, NJ and welcomes boys and girls of all ages from Robbinsville, West Windsor, Plainsboro, Princeton and surrounding New Jersey towns.